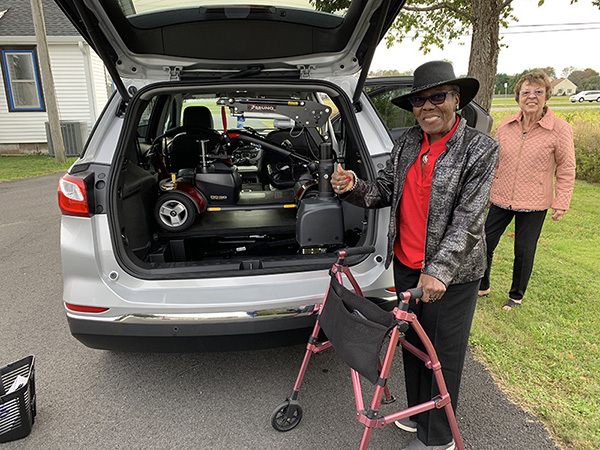 Just because you use a wheelchair or scooter for mobility, you can still keep your independence when traveling running errands or visiting friends and relatives. 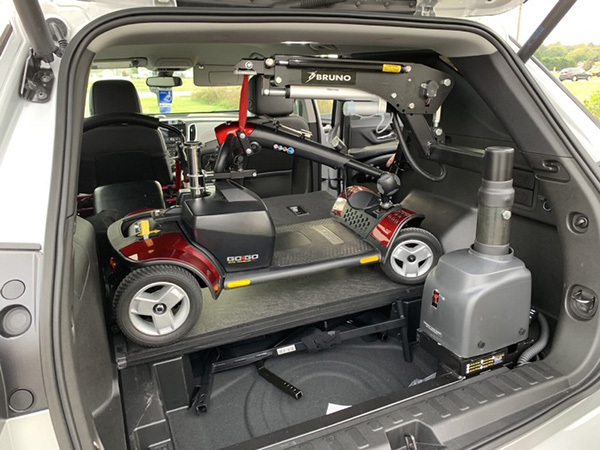 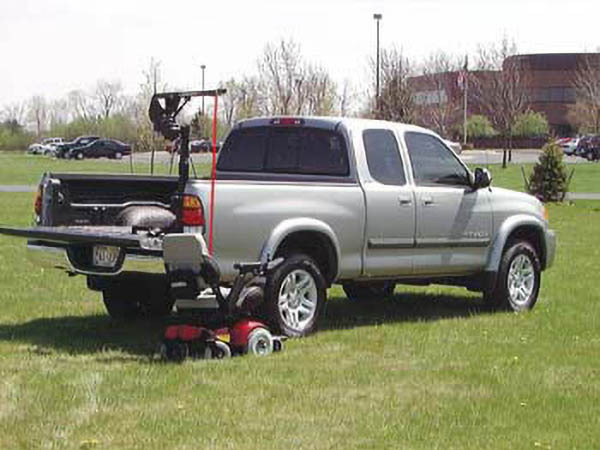 If you drive, it is easy to have a vehicle lift installed right into your car, truck or van so that you can take your scooter or wheelchair with you. 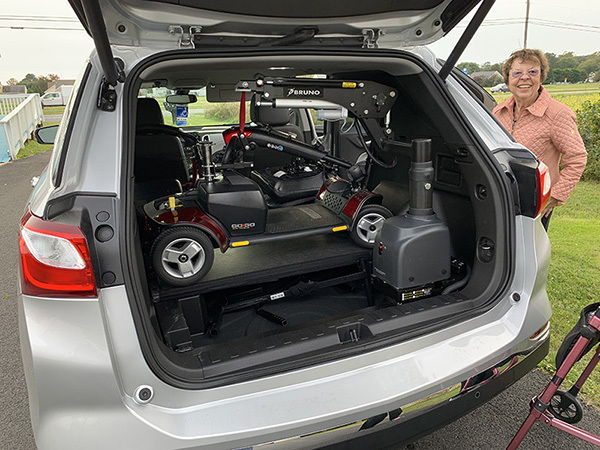 It is as easy as rolling up to your vehicle lift, getting off of your wheelchair or scooter, pushing a button and the vehicle lift - lifts your wheelchair or scooter into your vehicle. 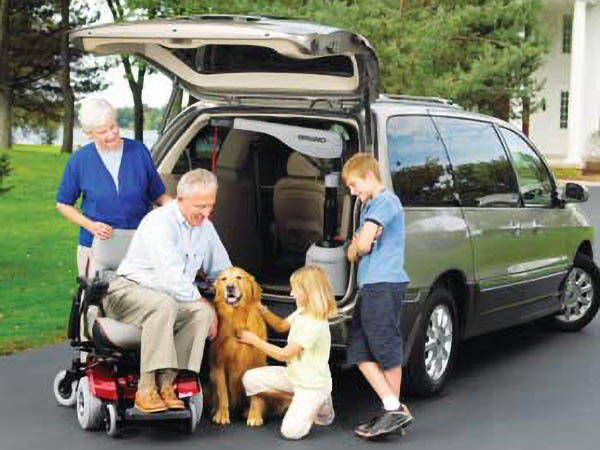 Then, get into your vehicle and drive to your destination. 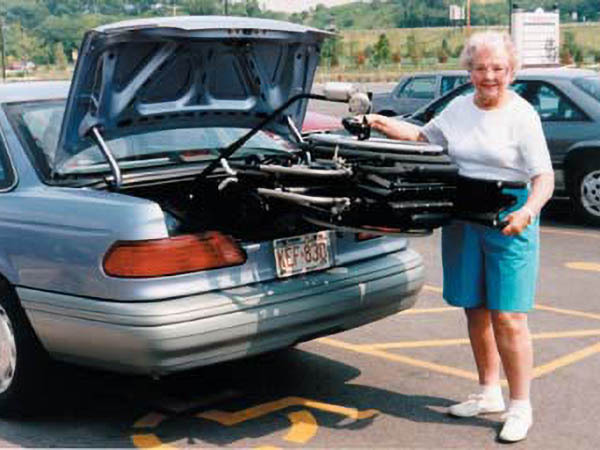 When you arrive, push the control to lower the vehicle lift. 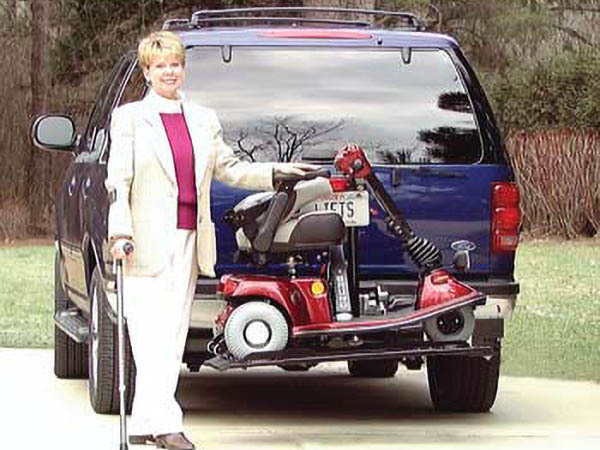 Get on your scooter or wheelchair, push the controls and you are done. 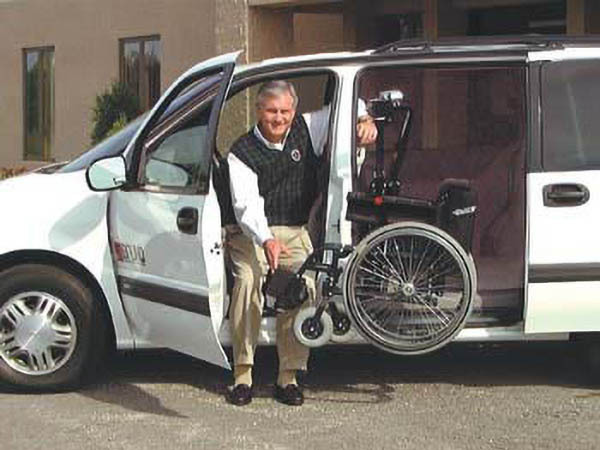 We have a large variety of scooter and wheelchair lifts to choose from and can accommodate most any type of vehicle. 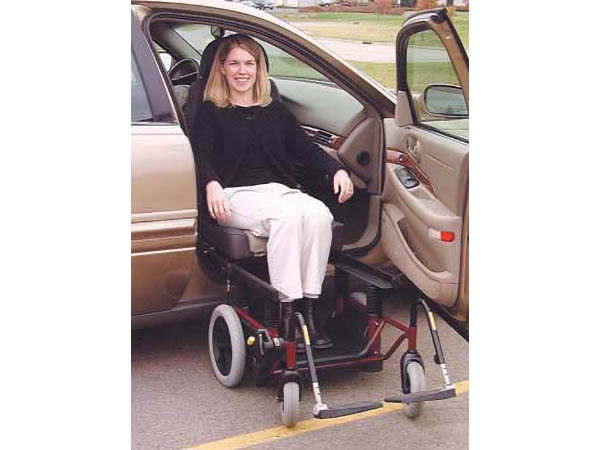 All of our vehicle lifts are sturdy, made in the USA and manufactured with the best materials. 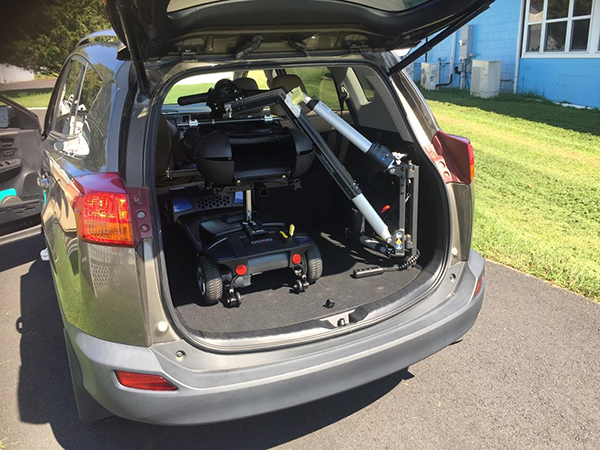 Contact Bell House Medical to find out more about our vehicle lifts or to schedule your vehicle lift installation.